The idea of microdosing marijuana isn’t for everyone or even the majority of imbibers, but it’s the miracle answer for many people who deal with depression, anxiety and the upcoming Seasonal Affective Disorder. 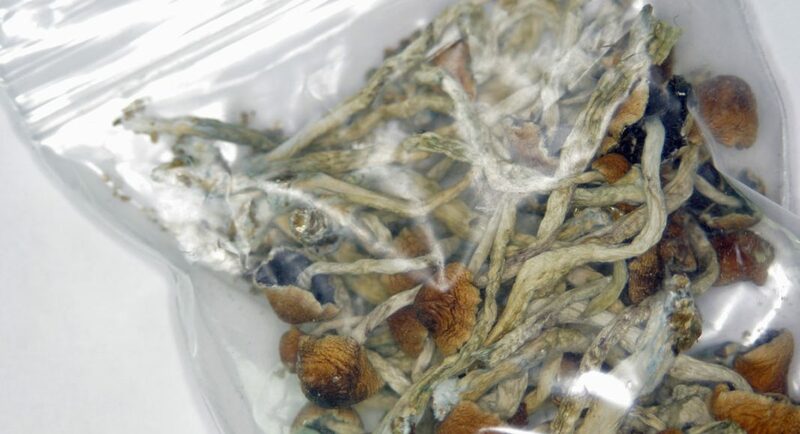 Microdosing mushrooms is another way that we open up pathways in our thinking and clear out the cobwebs and has been a popular tool for Silicon Valley innovators. When the two are paired, microdosing takes on a whole new level of experience. You don’t take a full dose of either, but both doses are somehow enhanced. It’s your basic psychedelic entourage effect. Any magic mushroom eater knows that cannabis can kick your trip into high gear; well this works in a similar way, just on a much smaller, yet very effective, scale. Ingesting, smoking or vaping small amounts of cannabis stimulate our bodies’ endocannabinoid system and though it usually won’t get one high, per se, it is enough to reset the mind. Same with mushrooms, you’re not going to have melting or breathing walls, but you are likely to add a little sparkle to the day. When combating something as weighted as SAD, it’s important to treat the herb and fungi as medicine. Find the regimen that works best for you by conducting slight variations on the experiment. A quarter of a gram or even less of ground up mushrooms three times a day is a good place to start and you’re not likely to deviate too far from that dosage and schedule unless consciously deciding to trip. With cannabis, take a half-pull to a pull off a vape pen or pipe or ingest 2-7 mg of an edible or tincture 3-5 times a day. This microdose will keep that endocannabinoid system chugging along and will build up in the system over time, meaning that the activation and effects come on more quickly as the days and weeks go by. If you’re still experiencing symptoms of SAD after a week or if you suspect you have something deeper going on than seasonal blues, it’s important that you see your doctor and perhaps take the pharmaceutical route or add therapy to your established microdosing regime. Just take care of yourself and remember that spring is closer than you think.